Gothboiclique singer Coldhart and producer Yawns team up for a brand new EP called 'Wish Me Well.' The new project features GBC's classic guitar riff hip hop beats, paired with Coldhart's patented drony vocals.We asked Yawns for a quick quote about this project, here's what he had to say: "Coldhart and I wrote and recorded this EP in 5 days. Everything started from scratch. Its the first time I’ve felt this proud about anything I’ve ever made so I’m just so glad we finally get a chance to Share it with y’all! "My favorite track on 'Wish Me Well' is number 4 "Thru The Screen." The track has serious indie rock vibes!You can stream the full 6 track project via Gothboiclique's Soundcloud below. 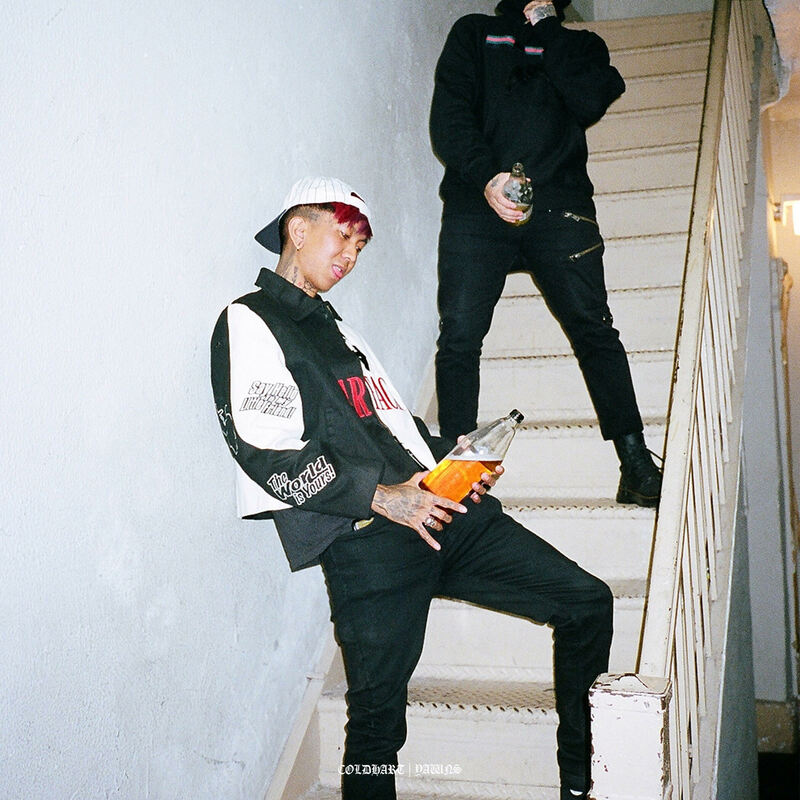 Gothboiclique singer Coldhart and producer Yawns team up for a brand new EP called ‘Wish Me Well.’ The new project features GBC’s classic guitar riff hip hop beats, paired with Coldhart’s patented drony vocals. My favorite track on ‘Wish Me Well’ is number 4 “Thru The Screen.” The track has serious indie rock vibes! You can stream the full 6 track project via Gothboiclique’s Soundcloud below.